A dangerous mix of economic and political forces has triggered a crisis in Turkey and other emerging markets. Turkey is just the latest developing economy to plunge into chaos. The Turkish lira has shed more than 40% since January, while the country’s stock market has been cut in half. Investors are waiting for the next domino to fall. They’re on the lookout for signs of a repeat of the 1997-1998 Asian financial crisis that began when the Thai baht imploded. The recent overseas turbulence is being driven by a confluence of factors. The most obvious is the Federal Reserve raising interest rates and shrinking its $ 4.5 trillion balance sheet in response to economic strength and warming inflation in the United States. Removing easy money from the market has sent the US dollar soaring against rivals. The stronger greenback is a recipe for disaster for emerging markets like Turkey that binged debt priced in dollars. “That debt becomes ferociously expensive when your currency implodes the way the lira has,” said Nicholas Colas, co-founder of DataTrek Research. The dollar’s strength has led investors to yank money from riskier markets in favor of safer American assets. But it’s not just about the Fed. The emerging-market turbulence, especially in Turkey, also reflects the rise of populism around the world. Turkey’s troubles accelerated in May after President Recep Tayyip Erdogan indicated he wanted to take control of setting interest rates, which he described as the “mother and father of all evil.” After winning re-election, Erdogan installed his brother-in-law as finance minister. Turkey’s central bank then shocked the world by refusing to raise interest rates, despite soaring inflation. Investors, with their confidence in the central bank shattered, promptly fled the lira. Andres Garcia-Amaya, CEO of Zoe Financial, described Turkey in a recent note to clients as an “absolute mess” typical of some emerging markets. “Prime minister abuses power and the central bank lost its independence,” Garcia-Amaya wrote. 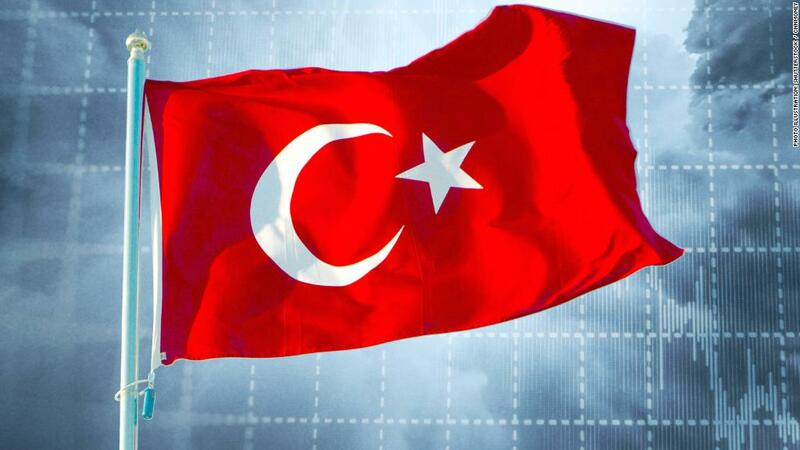 DataTrek’s Colas said the situation in Turkey is a case study in the importance of independent central banks and finance ministers, especially in countries without the strong track record of the United States. “If you don’t have strong institutions in place, then populism will bleed into economic issues much more directly,” Colas said. Of course, President Donald Trump, who rode a populist wave to office in 2016, is no stranger to attacking central banks. Trump recently broke with tradition by criticizing the Federal Reserve for gradually raising interest rates. The emerging market storm reflects another aspect of Trump’s populism: tariffs. Trump’s trade wars have caused investors to flee certain risky markets, especially ones with ties to China. Turkey’s currency plunged as much as 18.5% on Friday after Trump vowed to double the steel and aluminum tariffs he imposed on Turkey. “The global threat of populism is real,” said Mike LaBella, head of global equity strategy at QS Investors, an asset management firm owned by Legg Mason. “These effects are starting to amplify. There isn’t a clear end in sight. We’re going to have to live with this for a little while,” LaBella said. Argentina’s currency crisis forced it to reach a $ 50 billion bailout with the IMF in June. The recent emerging market chaos sent the Argentine peso to a fresh record low on Monday. Argentina responded by raising interest rates in an unscheduled meeting — to 45% from an already sky-high 40%. Analysts warn that Turkey faces serious trouble ahead because of its high level of debt, currency collapse and looming inflation. “The economy is in danger of a hard landing,” Win Thin, head of emerging market currency strategy at Brown Brothers, wrote to clients on Monday. Observers believe Erdogan may eventually need to secure a rescue from the IMF, which would likely demand renewed central bank independence. Investors are nervously looking for signs of “contagion” — evidence that Turkey’s problems are infecting the rest of the world. European banks sitting on loans to Turkey have already seen their share prices slide. And other vulnerable emerging markets like South Africa, Mexico and Russia have suffered currency slides of their own. However, Turkey’s economy is relatively small. The global economy, led by the United States, is healthy. And emerging markets broadly have stockpiled reserves that can be used to put out fires. Critically, many countries have also abandoned the currency pegs that exacerbated the Asian financial crisis. Investors hope that will be enough to prevent a repeat of the late 1990s meltdown.